Doing a bunch of reviews from written notes today. I know it's time when I see all the cans and bottles multiplying on my desk. And it looks like the 16 ounce can might be the packaging of choice now and to come based on the current accumulation. I had Sun King's Osiris Pale Ale a few years ago and then again a few days ago. 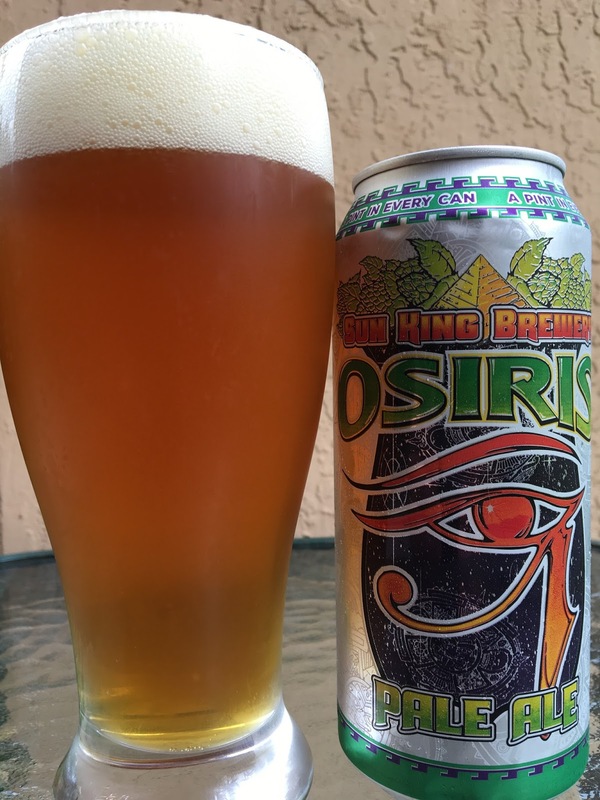 Osiris is the Egyptian god of the dead/afterlife. 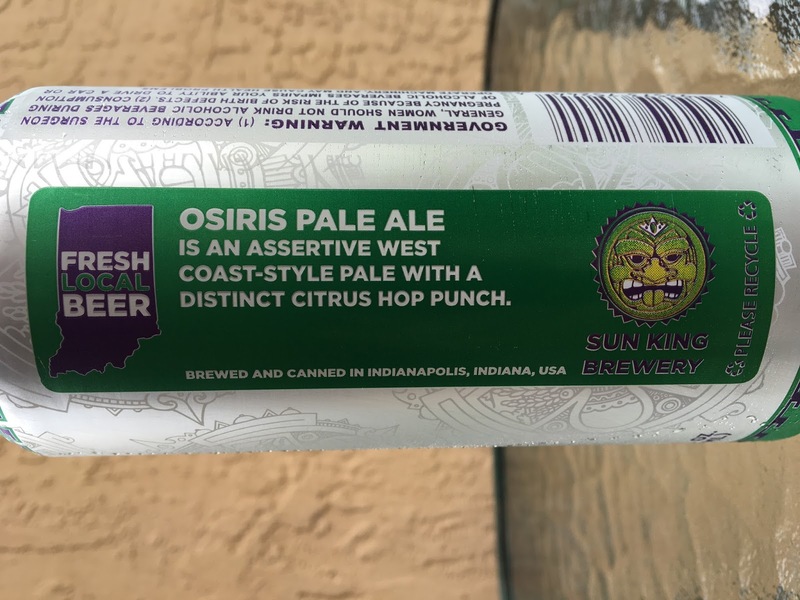 The art on the can tries to tie that in along with the silver background with Sun King's logo incorporated. 5.6% alcohol. 50 IBU. 29AUG16. Nice bright tangerine and citrus aroma. Aggressive hoppy citrus, sharp orange bitter flavors in the beginning. Spicy, lightly grassy. There is a background malty balance, perhaps a touch of honey. Definitely fits the self-described "assertive west coast-style pale with a distinct citrus hop punch." Nice carbonation, nice texture. Light dryness at the finish. My kind of Pale Ale, yum!